SpaceX launched a reused Dragon cargo craft on its last commercial supply shipment to the space station in June, and officials said then that the next Dragon mission — now scheduled for launch next month — will use a newly-manufactured capsule. 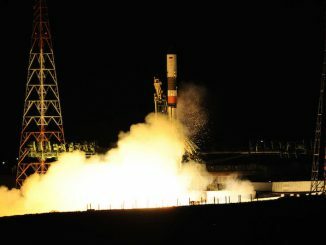 Plans for subsequent resupply missions were still under review, NASA and SpaceX officials said at the time. But a presentation to the NASA Advisory Council’s human exploration and operations committee Monday by Sam Scimemi, director of the space station program at NASA Headquarters, suggested SpaceX’s next Dragon spacecraft would be the last one to be built. SpaceX clarified Friday that the company expects the upcoming automated logistics mission will be the last to fly with a newly-manufactured “Dragon 1” spacecraft. SpaceX has a contract with NASA for 20 commercial resupply launches through 2019, followed by at least six more Dragon cargo missions through 2024 under a separate follow-on agreement. 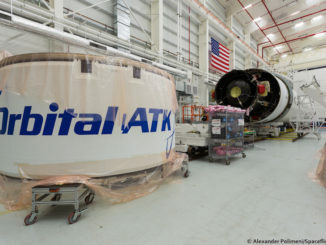 NASA has also contracted with Orbital ATK and Sierra Nevada Corp. for the station’s cargo needs. Another iteration of the Dragon spaceship, with a different shape and other significant changes, is under development at SpaceX. NASA confirmed last week that the first unpiloted orbital demonstration flight of the Dragon 2, also known as the Crew Dragon in its human-rated configuration, would slip from late 2017 until at least February 2018. A second test flight scheduled for June 2018 will carry two astronauts to the space station and back to Earth. 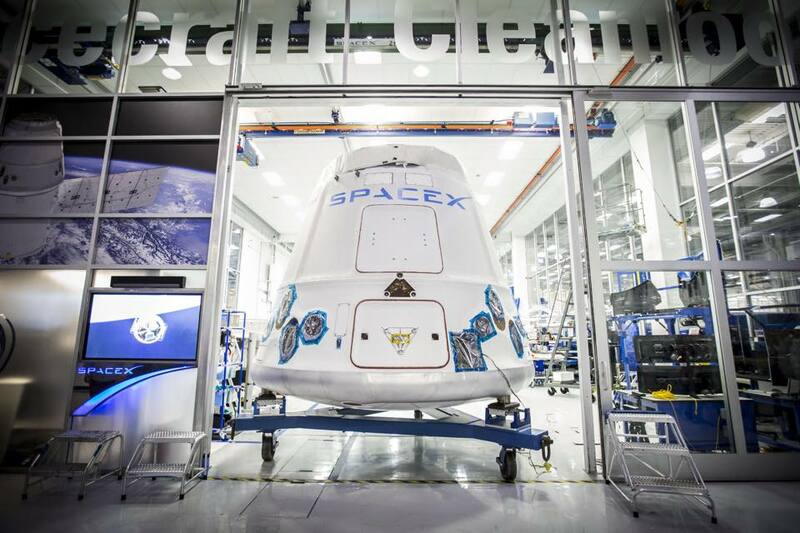 NASA and SpaceX intend to have the Crew Dragon ready and certified for regular crew rotations to and from the orbiting research complex by the end of next year. Meanwhile, a simpler version of the Dragon 2 capsule will also take over SpaceX’s cargo delivery duties. Officials have not identified when the resupply runs will switch to the new spacecraft type, but the changeover could happen when SpaceX begins flying missions under its second cargo contract in late 2019 or early 2020, or sooner. SpaceX chief executive Elon Musk said July 19 that there was little difference between the cost of a new Dragon capsule and the cost to refurbish the Dragon that launched to the space station June 3 and returned to Earth a month later. “The SpaceX internal accounting said that it cost us almost as much as building a Dragon 1 from scratch, but I expect our internal accounting wasn’t counting certain things,” Musk said at the International Space Station Research and Development Conference in Washington. The Dragon that flew the last mission to the space station spent 34 days in orbit in 2014. Engineers replaced the ship’s heat shield and batteries, which were vulnerable to salt water damage when it splashed down in the Pacific Ocean. But the hull, thrusters, harnessing, propellant tanks, and some avionics boxes were original, officials said. Technicians at Cape Canaveral will load more than 7,000 pounds (about 3,300 kilograms) of hardware, crew provisions and experiments into the Dragon spacecraft in the coming weeks, including a NASA-funded instrument to investigate the origins of cosmic rays. If the SpaceX launch is not off the ground by the middle of August, it could be grounded several days until officials ensure the Russian satellites are well away from the station. Two other launches from Cape Canaveral in the second half of August — an Atlas 5 flight set for around Aug. 20 and a Minotaur 4 rocket mission Aug. 25 — could complicate SpaceX’s scheduling in the event of a delay. The mid-August launch will be the 12th time SpaceX has sent equipment and experiments to the space station since regular Dragon resupply flights began in October 2012. Counting two Dragon test flights in December 2010 and May 2012, the reused capsule that launched twice, and next month’s mission, SpaceX built 13 capsules based on the first-generation Dragon design. After the upcoming cargo flight, SpaceX’s next Dragon mission is scheduled for launch in November with a previously-flown capsule. 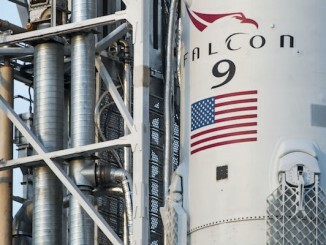 SpaceX will continue building unpressurized trunk modules for space station deliveries. Those sections, which hold solar panels and carry large external experiment payloads, are disposed at the end of each Dragon mission to burn up in the atmosphere. Musk confirmed SpaceX will eventually use the Dragon 2 spacecraft for all crew and cargo missions to the space station. “The only thing cargo Dragon won’t have is the launch escape system,” Musk said, noting that the capsule will still be able to separate from a failing rocket. “I think, most likely, even cargo Dragon 2 will be able to survive a booster anomaly. It will have everything the crew Dragon 2 has, except the (abort) thrusters, but I think, in most cases actually, it will be able to survive re-entry and keep the cargo safe. “Dragon 2 being used for both cargo and crew allows us to iterate with just a little more risk on the cargo version and prove it out before there’s crew on-board,” Musk said. The SpaceX founder said the next-generation Dragon will not have the capability for propulsive returns to land as originally intended, instead returning to splashdowns at sea.